Touches and influences from all around the Med. 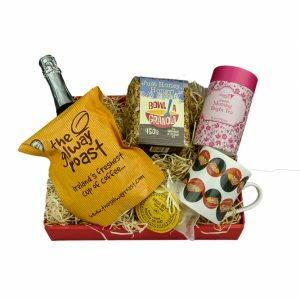 Gift hamper will be presented in a card tray with wood wool. Add a personalised message on our Order Form. Everyone loves opening a really good gift hamper. If the contents are right, that moment when you tear the cellophane off to reveal the contents inside can be a real thrill. 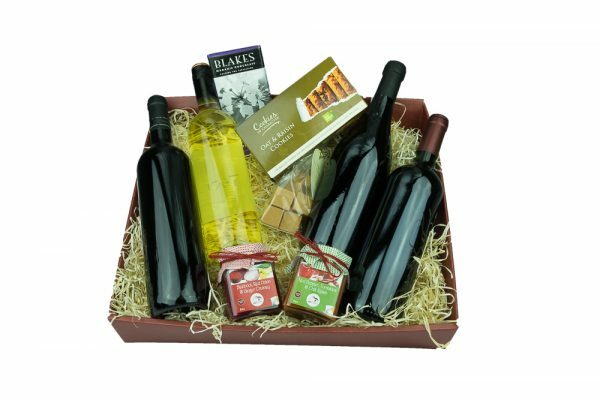 At Cases we appreciate how important that ‘wow’ factor is so we make sure our hampers are stuffed with the best quality Irish artisan produce, combined with great wines from around the world to create the perfect gift. 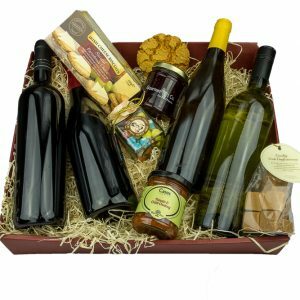 All our products are carefully sourced, going through a rigorous tasting process (poor us! ), partnering with small producers who insist on the highest standards. 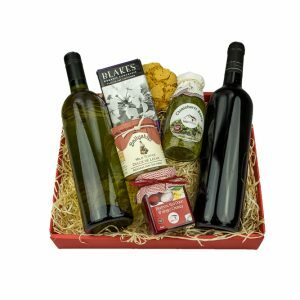 Following strict procedures all expiry dates are well labelled and checked before delivery, so the gift hampers can be enjoyed well in advance of any due dates. 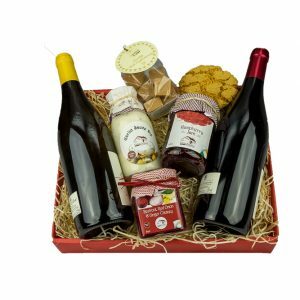 Gift hampers are not only for Christmas. We provide a year-round service so contact us anytime to discuss your personal or corporate gift requirements.